Latin American ministers met Monday to end the massive Venezuelan migrant crisis that has jolted the region, as Venezuela's government accused the United Nations of exaggerating the situation to justify "international intervention." 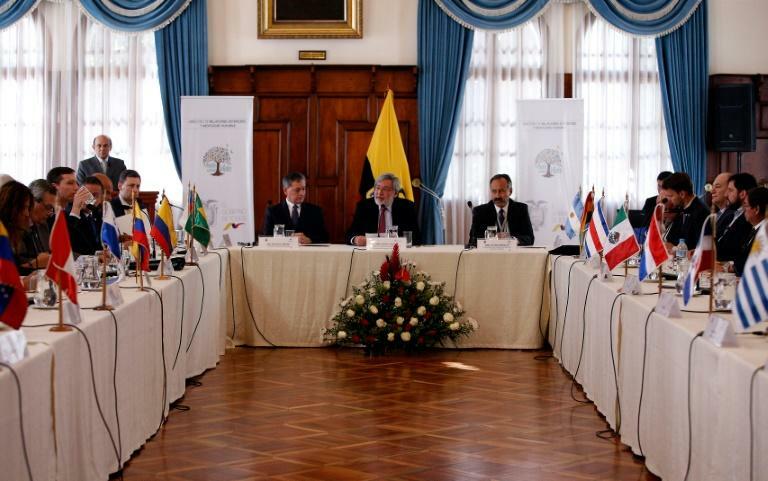 The delegates from 13 regional nations were seeking outside funding as they discussed in Quito a common solution to regularize the situation of hundreds of thousands of Venezuelans who have migrated due to a situation whose very existence Caracas denies. Venezuelans who immigrate "are highly vulnerable to human trafficking, the smuggling of migrants, labor exploitation, lack of access to social security, extortion, violence, sexual abuse, recruitment for criminal activities, discrimination and xenophobia," said Ecuadoran Deputy Foreign Minister Andres Teran. The two-day meeting in Quito precedes extraordinary talks at the Organization of American States set to begin Wednesday to discuss the same issue. 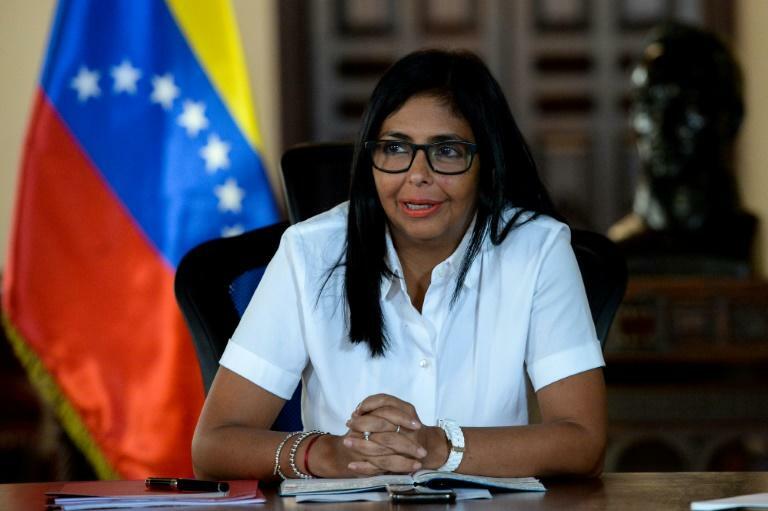 Venezuelan Vice President Delcy Rodriguez said the government had complained to UN Secretary-General Antonio Guterres that "individual officials" have been portraying "a normal migratory flow as a humanitarian crisis to justify an intervention." The UN says 1.6 million Venezuelans since 2015 have fled economic meltdown in the country, which has been hit by shortages of basic necessities such as food and medicine. Venezuela is in a fourth year of recession while the International Monetary Fund has predicted inflation in the South American country will reach one million percent this year. The flood of migrants abandoning their country to seek a better life elsewhere has left countries such as Colombia, Brazil, Ecuador and Peru creaking under the strain. In addition to discussing a common regulatory framework, Latin American nations are seeking to show the impact that the massive arrival of migrants has on various countries' finances. Argentina's envoy Dario Giustozzi stressed the need to "unify" document requirements for Venezuelans, who depending on the nation must present a certificate, passport or visa. The delegates from Argentina, Bolivia, Brazil, Colombia, Costa Rica, Chile, Ecuador, Mexico, Panama, Paraguay, Peru, Dominican Republic and Uruguay are scheduled to issue a joint statement on Tuesday. The UN's representative in Ecuador, Arnaud Peral, celebrated the regional effort and urged international donors to continue contributing. The United States, a fierce critic of Nicolas Maduro's government, has already disbursed aid to Colombia and Brazil to handle the Venezuelan influx, while Spanish Prime Minister Pedro Sanchez announced last week European funding of 35 million euros ($40 million). Most Venezuelan migrants have traveled to Colombia, Ecuador and Peru, but only Colombia has temporarily regularized some 820,000 Venezuelans. With the exception of Bolivia and Nicaragua, most governments in the region reject the Maduro government as a dictatorship and blame it for the crisis. At the same time, countries like Colombia are seeking greater international pressure to make way for a democratic transition. Speaking at a press conference, Rodriguez said UN officials had been using data from "enemy countries" and presenting it "as if it was their own." Rodriguez didn't identify who those officials or enemy states were, though. "The worst humanitarian crisis the world is going through right now is that cause by NATO and European Union countries in Africa and the Middle East," added Rodriguez, who called on top EU diplomat Federica Mogherini to stamp out "fake news." She pointed to a new UN report that stated nearly 1,600 migrants had died or gone missing in 2018 on "the way to Europe." Rodriguez branded neighboring Colombia "pimps" and claimed it is seeking international funds in order to use Venezuela to "live" off donations. But Colombian President Ivan Duque, who will host his US counterpart Donald Trump in November, advocated for a strategy to "diplomatically isolate Maduro," but batted down any possible "military intervention" led by the United States.